It may be cold up here today, but it’s very hot down there. Where I come from palm trees sway and men with frilly sleeves sing calypso under trees, where the tourists are always dropping in . . . and out. And then, when it’s all done, they disappear in a big plane. — Michael Fernandes. Characterized by elusiveness, the works of Michael Fernandes never cease to insist on the unstable nature of the world. In considering his works of the past twenty years I have formed the view that this elusiveness is purposeful, culturally specific and belongs to a general strategy of resistance which includes the emergence of cultural difference as an enunciative strategy. The potential for a displaced authorship to function as a place from which to speak is acknowledged in a text piece of 1992: I have lost my parrot. If you find it I am not responsible for what it says. This work raises the question of speaking and its positionality, multiplying and displacing authorship in complex and often paradoxical stratagems. 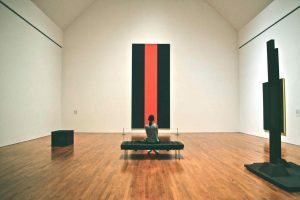 Critically locating an artist’s work suggests a framing which secures it with respect to issues and discourses. By its very nature, Fernandes’ work persistently resists this securing, and we need not assume that the apparently inarticulable nature of the work, its resistance to language itself, will be lost to the unifying tendency of description and interpretation. Those strategies of resistance which identify Fernandes’ works often rely on practices which correspond to certain aspects of postmodern and feminist disruptions of authority and this can help to critically situate his work. But even where it is possible in a text such as this one to attribute some coherence and regularity to a body of work, the work itself resists reductions such as “authorship.” Of the many means by which this work does this, two aspects are here foregrounded; that of the work’s relationship to the environment of everyday life and that of its emphasis on improvisation, especially through a performance of language shifts. Fernandes’ works abound with regionally specific motifs (such as parrots, bamboo, clothing, music and accents) which provoke questions of place, origin and belonging. These three terms are conventionally understood in unifying and homogenizing terms. For example, place is typically conceived as location, a fixed point in a measurable, uniform space. Similarly, origin is considered roughly synonymous to “cause,” a single point. Following these notions of place and origin, belonging is then typically understood by way of identity, that is as a self-same, enclosed “core.” The discussion of identity has taken many directions within postmodernism. The critique of the identity principle has its roots in Heidegger, then Derrida. Heidegger showed how origin and identity depend on difference, on the relatedness of the two, of “the between.” The relation is what is stressed and from which a “gathering” proceeds that brings about “belonging.” This critique of identity, but in the form adapted by way of Derrida, has often been incorporated into feminist and post-colonial theory. This particular adaptation has tended to undermine “belonging” by understanding the “gathering” by way of Derrida’s “gathering of radical alterity endlessly displacing its closure,” a notion which disperses rather than truly gathering what is differentiating itself. This emphasis on deferral has been read (by Stuart Hall) as a politics of infinite dispersal, a politics of no action at all. (3) A perspective on these issues of belonging and difference, gathering and differentiation, formulated with this reading in mind, contributes to a conception of place as a site of resistance, as a living place incorporating difference while refusing “the politics of infinite dispersal” which is merely the flip side of modernist unity and homogeneity. This conception of place as site of resistance suggests a post-colonial response to what Rosalind Krauss has described as universal placelessness. These terms, identity and origin, are important in Fernandes’ works in so far as they are, from the outset, problematized and relativized by the work’s very nature. They have become culturally provisional and individually improvisational in his work, engaging in a performance of “diasporan subjectivity,” a subjectivity intertwining belongingness with multiplicity. 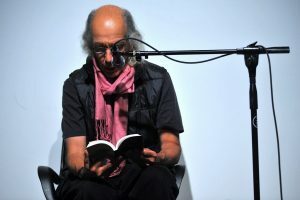 Frequently, elusive references occur to the impact of displacement within his personal history and while we might attempt to ascribe autobiographical intent to Fernandes’ involvement with the themes of home and place, it is necessary to recognize that in undermining unities he also undermines conventional notions of the autobiographical self. That is, those conceptions of authorship which rely on the centrality of the author as a fixed point of origin, of meaning. Nan Goldin’s first provocative photo-series, The Ballad of Sexual Dependency, unleashed obsessive desire and pathos with such ferocity that many were stunned. The tragic and beautiful Ballad finds a life-affirming companion in Tokyo Love. Tokyo Love began in the spring of 1994 as a collaboration between Goldin and Japanese photographer Nobuyoshi Araki. Although worlds apart, they were doing similar things, with similar people. In this book they come together. Tokyo Love is arranged so we see Goldin’s and Araki’s photographs indiscriminately. Tokyo Love is a book dedicated to the principle of “joy in living.” Though they are surrounded by friends dying of AIDS-related illnesses, addiction, suicide, the people in these photographs persevere. Their enjoyment in life is not sacrificed. Tokyo Love is a breather, a party. T. M.
Circus Americanus is a curious, insightful collection of essays by American art critic Ralph Rugoff. 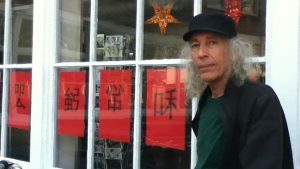 The bulk of the essays, written between 1990 and 1995, first appeared on the arts pages of the LA Weekly where Rugoff is a featured writer. The essays are predominantly about the social trends and visual culture in Southern California, with a few excursions into the rest of the United States and Canada. The collection’s title refers to a growing spectator culture that finds its locus in Los Angeles, megalopolis of a near-future America. The topics Rugoff covers range from photographs of nudists to tours of waste treatment plants, but he is at his best when writing about museums and theme parks. Rugoff is fascinated with the proliferation of museums in and around Los Angeles. He argues that the museum vitrine has had a more profound effect than the automobile or the mass media in deciding the visual landscape of Southern California. Circus Americanus includes descriptions of visits to the Beit Hashoah Museum of Tolerance, the L. Ron Hubbard Life Exhibition Hall, and many other institutions — including a strange, wonderful place called the Museum of Jurassic Technology. Although Rugoff is quick to point out the shortcomings of museums, he can recognize the quirky, magical properties that some do possess, like the grotesquely beautiful exhibits of pathological anatomy at Philadelphia’s Mutter Museum. Rugoff’s keen, ironic prose is complemented with fitting illustrations by photographers Mark Lipson and Debra DiPaolo. In the introduction, Rugoff cautions us about reaching a point where our environment is so mediated that reality can no longer be experienced. Consequently, Los Angeles’ “culture of distraction” may well be the shape of things to come in North America and Circus Americanus provides a thoughtful look at this trend, with the humour and wisdom necessary to cope with these transformations.